Marnell Corporate Center 4 (MCC 4), a 93.7k sf Class A office building in Las Vegas, was purchased by Nidnats Corp for $30.75 mil, or $328/sf, in what we’re told is a record for the highest price per square foot paid for a multi-tenant non-medical office building in Las Vegas. At the time of the sale, MCC4 was 88% leased. Tenants include GSA/TSA; internet gaming and technology company Machine Zone, America Family Mutual Insurance, and HDR Engineering Inc. 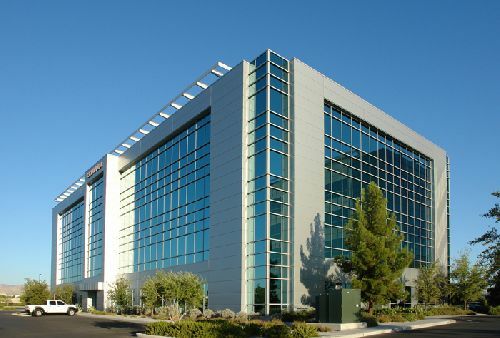 The property was sold by Dornin Investment group, who acquired the asset in 2014 as part of a $39 mil, three-building portfolio containing 177k sf in the Marnell Corporate Center, a 493k sf, master-planned office campus, adjacent to the McCarran International Airport. The sale of MCC 4 marks Dornin’s successful stabilization of the building, which had suffered from high vacancy and long-term leases at below market rates. Logic Commercial Real Estate (Logic) represented the seller in the transaction. According to Brendan Keating, CEO of Logic, now that there are four to five comps of this type above $300 psf, they are seeing developers starting to underwrite speculative office development. The record sales price of approximately $328 psf paid for MCC 4 is more than 50% higher than the average for the market, according to seller’s attorney Mark Nicoletti of the Los Angeles-based law firm Sklar Kirsh.